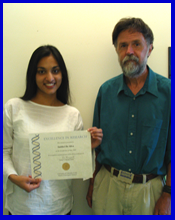 Imithri De Sliva receives the Excellence in Research Award. 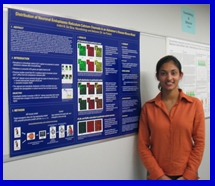 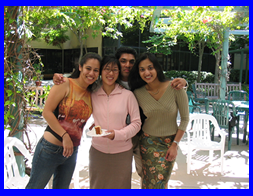 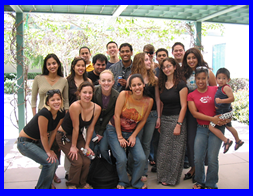 Imithri De Silva, a dedicated undergraduate researcher, was a participant of the annual Excellence in Research Program Symposium 2005. 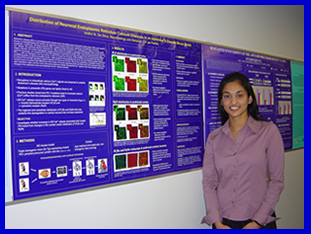 As a participant of the program she presented her research to peers and faculty via a formal research paper, an oral presentation, and a poster competition. 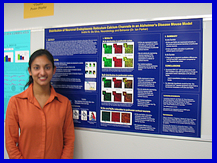 Imithri's poster made it to the finals. 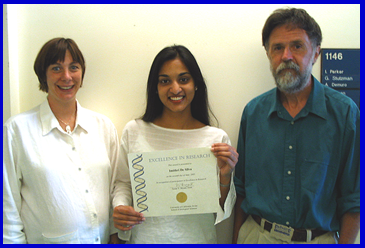 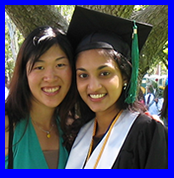 On June 2, 2005 Imthiri De Silva was awarded a certificate in recognition of participation in Excellence in Research by Susan V. Bryant, Dean of the School of Biological Sciences at UC Irvine. 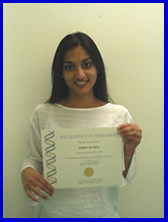 Imithri shows her excellent achievement award. 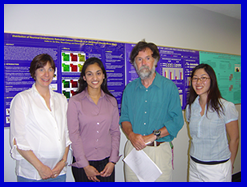 Imithri with her supporting mentors Dr. Ian Parker (right) and Dr. Grace E. Stutzmann (left). 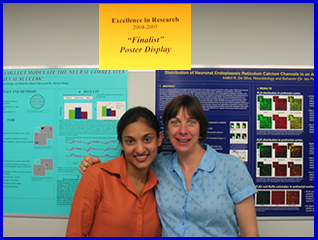 The 1st poster presentation for 'Excellence in Research' was evaluated by judges from the Department of Neurobiology and Behavior. 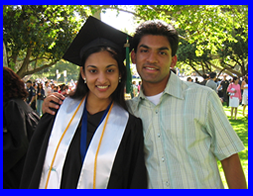 Imihtri De Silva makes it to the Finals! 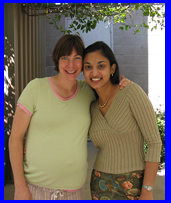 In the Parker Lab, she is known as the immunohistochemistry professional. 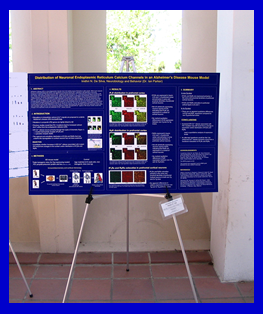 Ask me any questions about my poster, I am ready. 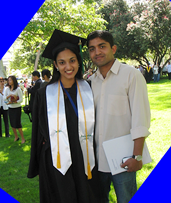 Congratulations and best wishes for all that lies ahead!